Winter is well and truly here and it's becoming more clear that we have to rugg up! 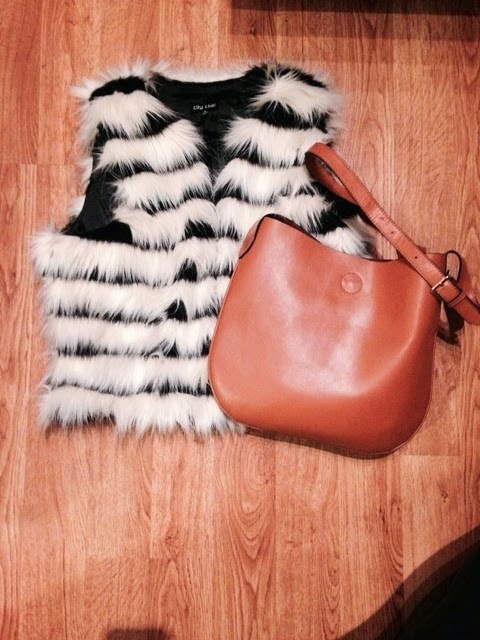 I am a big fan of anything fur (fake ofcourse) fur vests, fur jackets, fur scarfs. They are a must have for winter and you can pair it with any winter outfit. 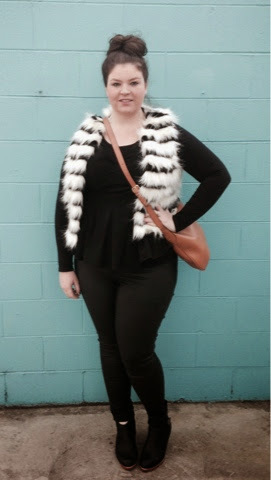 I recently bought a black and white fur vest from city chic and it is currently in store now. I wear a lot of black so it's perfect to throw over a black outfit and then add a bit of colour. 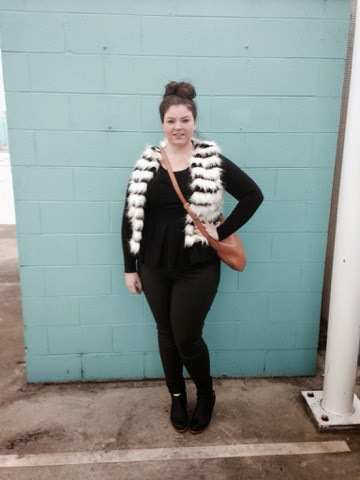 Every girl needs a bit of glamour in their life and a fur vest is the way to go, i would say it's a staple for winter in my closet.